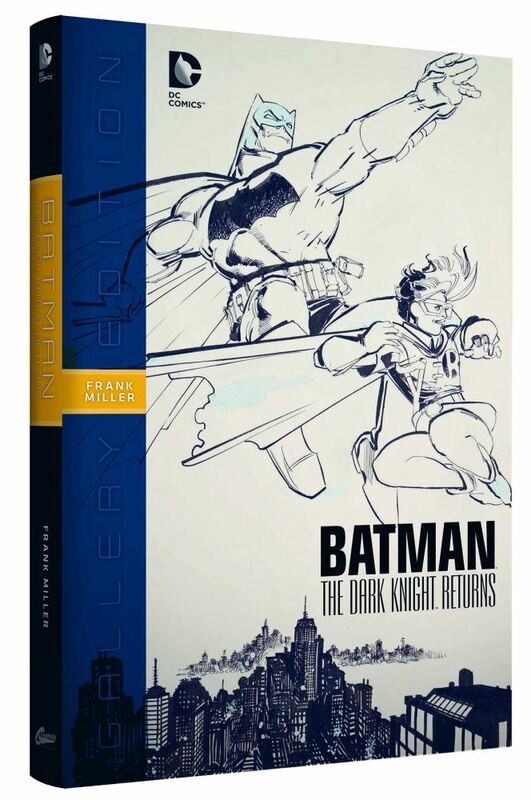 Commemorate the 30th anniversary of one of the most defining works in comics history with the BATMAN: THE DARK KNIGHT RETURNS - FRANK MILLER Gallery Edition. Sourced from the original art that has been scanned from collectors worldwide, this is the collection we've all been waiting for. 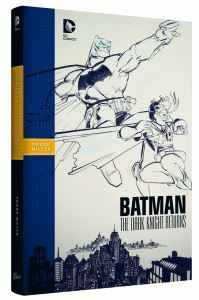 Featured within the hardcovers of this Smythe-sewn edition is Miller's artwork from DKR #1-4, scanned in full color from the original black-and-white pages. Also included are the covers, related art and previously unpublished pieces showcasing Miller's artwork as never seen before. Though we were unable to locate every original from this story, we are pleased to present to fans everywhere the best presentation of the artwork from this historic series ever seen. This is your only opportunity to see the artwork that truly changed Batman forever.